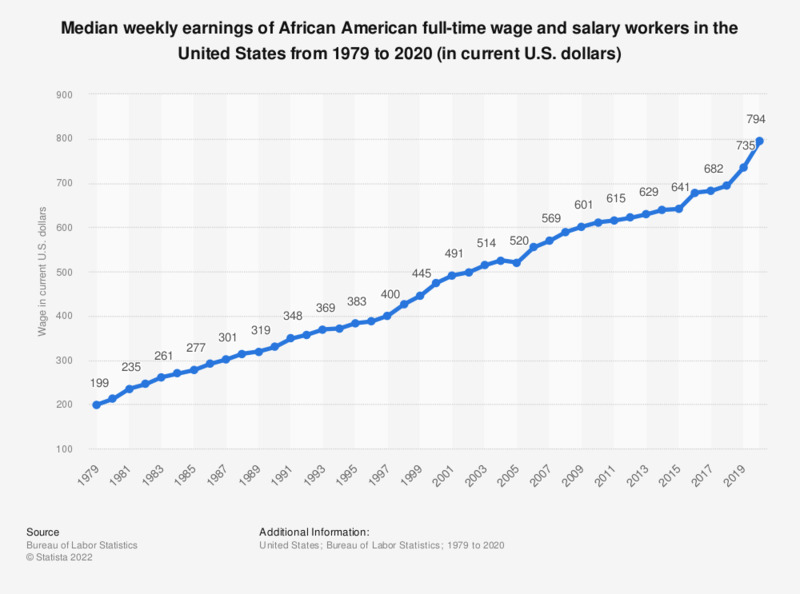 This statistic shows the median weekly earnings of Black or African American full-time wage and salary workers in the United States from 1979 to 2017. In 1979, the median usual weekly earnings of a Black full-time employee in the United States of America amounted to 199 current U.S. dollars, which was 42 U.S. dollars below the general average. In 2017, the median usual weekly earnings of African American, who is working full-time, was 682 current U.S. dollars.